So often I have people say things about themselves that automatically make me realize that they don’t appreciate their body at all. It’s so difficult as plus size brides with self esteem and confidence issues to appreciate something that you might not be in love with. Especially being inundated with modern society and all they say about our bodies and how we are supposed to look. 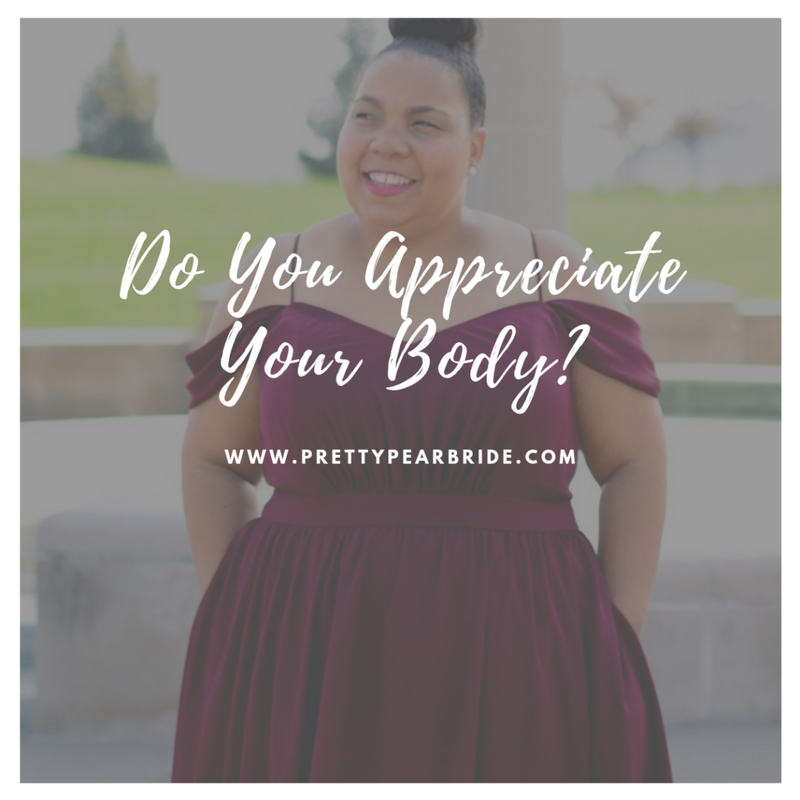 So if you don’t have that look, then you shouldn’t appreciate your body. 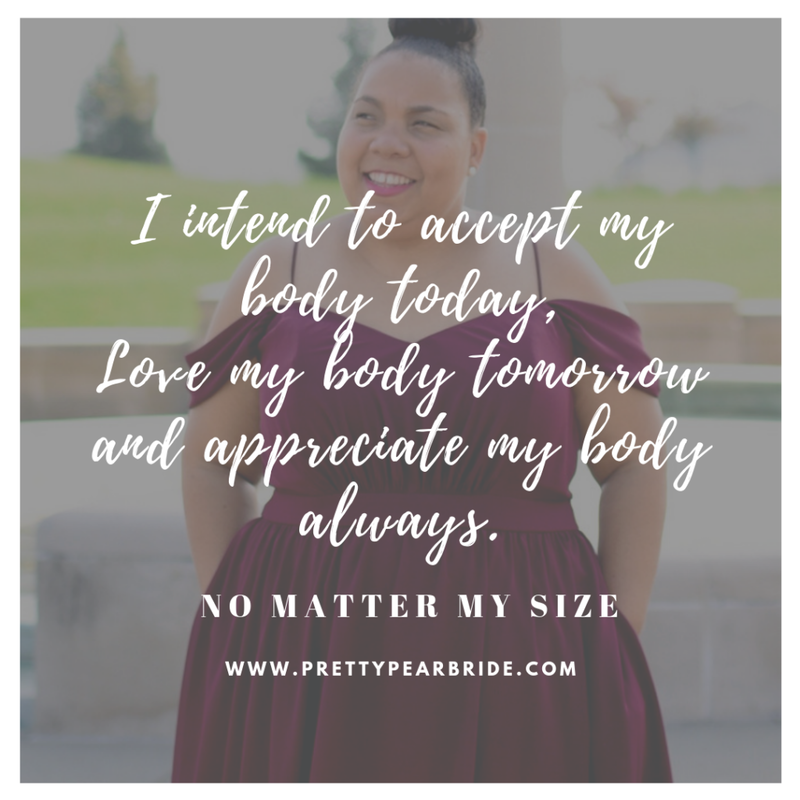 You aren’t alone, plus size brides struggle with the issue of low self esteem and confidence and the inability of loving themselves and their bodies more than we like to admit . But let me remind you of something, just the small step of loving and appreciating your body will start the transformation of realizing that you are beautiful and worthy of all that comes to you. Looking for more about building confidence and loving your body? Check out our Motivation Monday posts.